The next car comes from Erik202 who writes: I saw this on my local classifieds, it got me thinking about how often people make fairly unsubstantiated claims about the rarity of the cars they are selling. In this ad the seller makes 2 claims but does not mention any paperwork from GM backing up either. There must be tons of this type of ad out there. 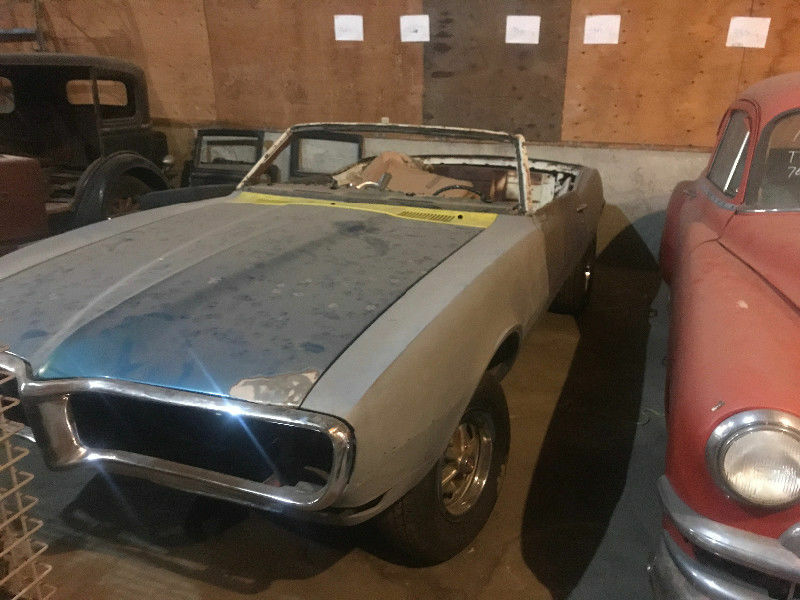 Find this 1968 Pontiac Firebird Convertible offered for $11,000 CAD ($8,786 USD) via Kijiji.ca. It is a project and will need a complete resto. It comes with a new full floor pan with full quarters that would need to be installed . I will have the add up for 7 days only ! Off topic, but why does Kijijii always sound gynecological when I say it out loud? I don't know man, from where I am sitting that looks like a 2k car.